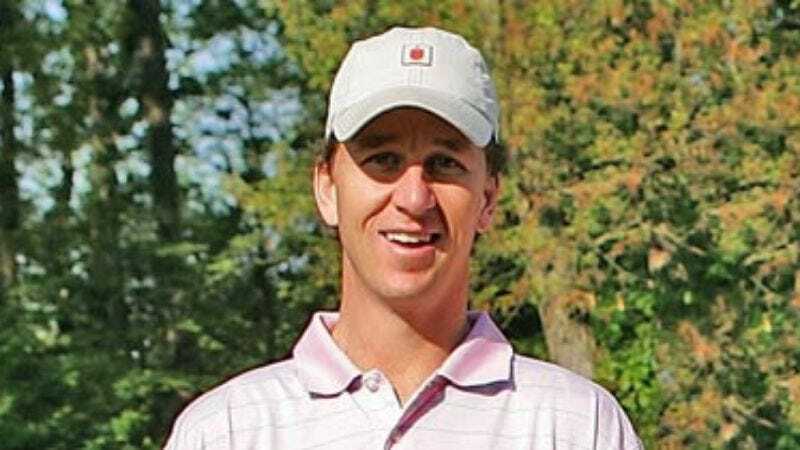 NEW ORLEANS—Gas and oil stock trader Cooper Manning, older brother of Peyton and Eli Manning, turned in an MVP-level performance for his employer, energy research firm Howard Weil, Labouisse and Friedrichs, Inc., Tuesday. "With time running out in the fourth quarter, I knew the only way we were going to come out on top was to pass on drill rig operator Nabors Industries, call a last-second audible, and put our faith in blue-chipper USA Superior Energy Holdings," an excited, champagne-drenched Manning told reporters on the trading floor after the final seconds ticked away and the closing bell officially sounded. "But I can't take all the credit. Without Howard [Weil's] clutch third-quarter decision to invest in the Bristow Group, we wouldn't even be standing here right now." Manning added that, though this is the type of day a professional oil and gas trader dreams of, he has no plans to rest on his laurels and will be back at work tomorrow in hopes of a repeat.